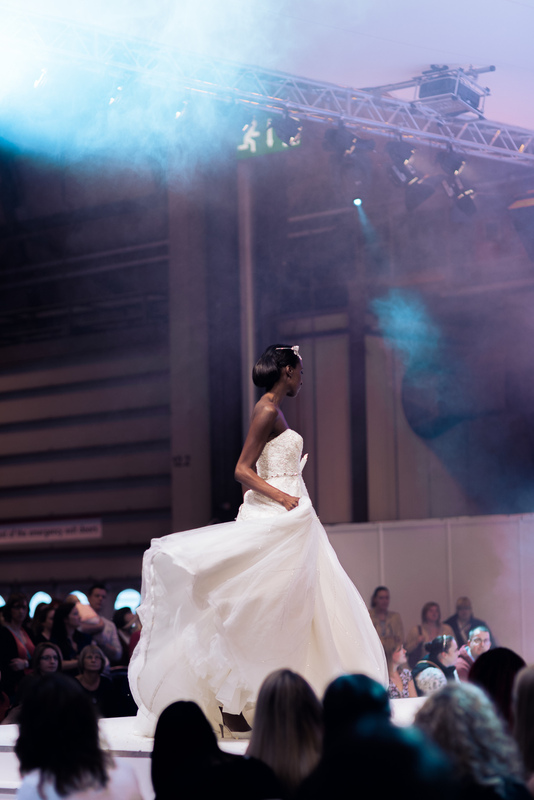 These are a few of my favourite photos from my first experience at The National Wedding Show at The NEC in Birmingham. 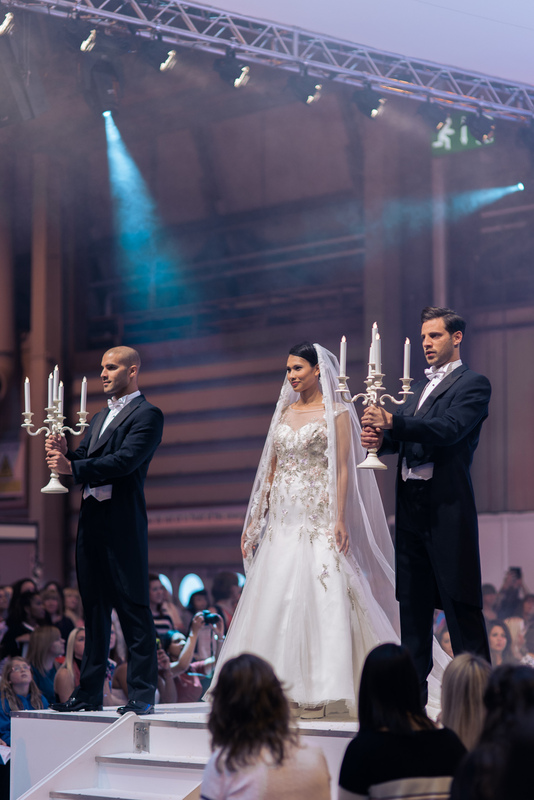 I discovered that there are usually 3 shows throughout the season/year to cater to future brides across the UK. Since I moved to the UK a bit too late to join all the fun as an exhibitor, I thought it would be a fun day out for my fiancé and me as we haven't started planning our wedding yet! It was great to be surrounded by so much inspiration and meeting lovely people in the industry in the UK. And as a bonus, my fiancé managed to have a bit of fun, too! I'm so jealous of the ladies who get to see it all at the Manchester Show tomorrow! You can get tickets for the 24th and 25th of October here! 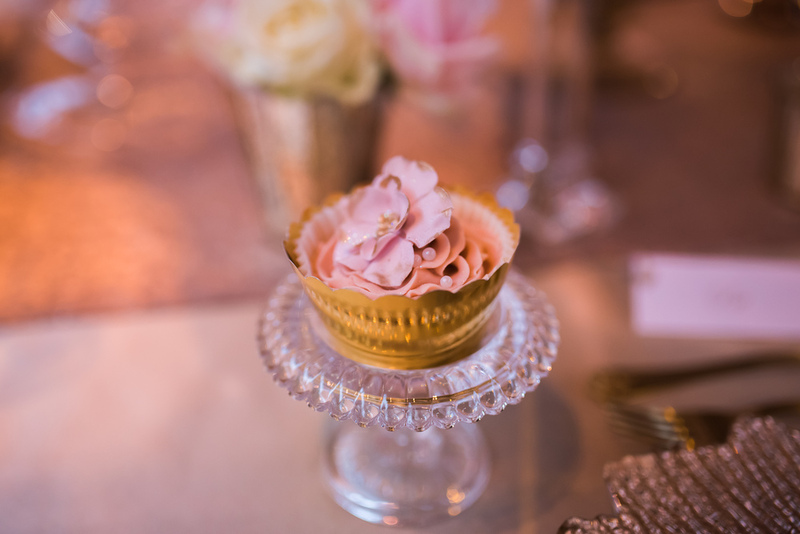 Let's start with lots of gorgeous details from Pumpkin Events who won Most Outstanding Exhibitor at the show! Woohoo! I then spent most of my time near the runway! 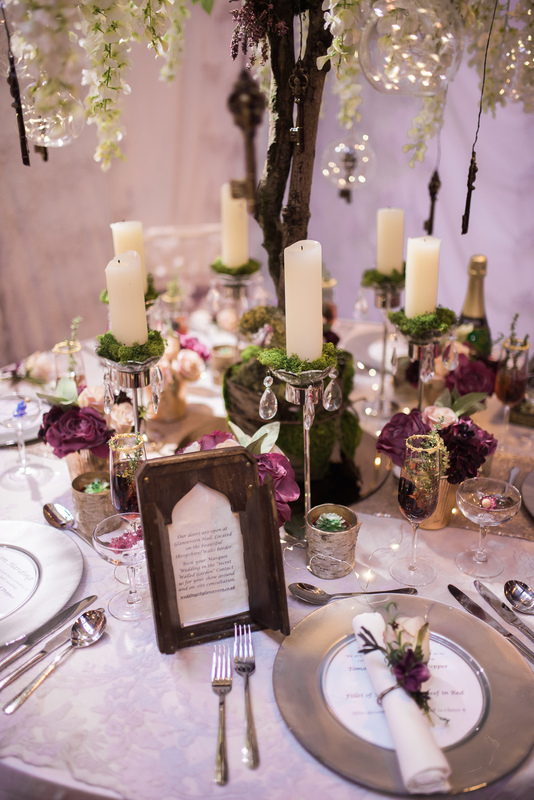 The stunning Secret Garden from Chillie Breeze! 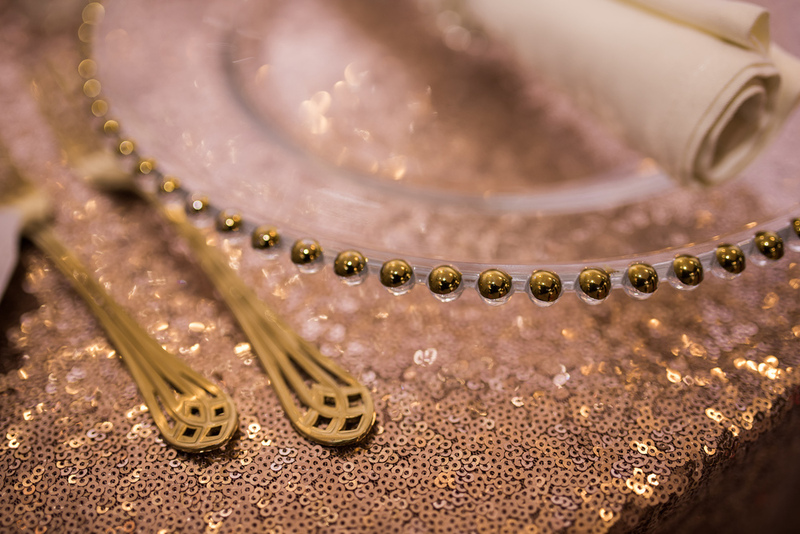 Sparkly presentation from J and J Designs with a lovely a Allure Bridals stunner! 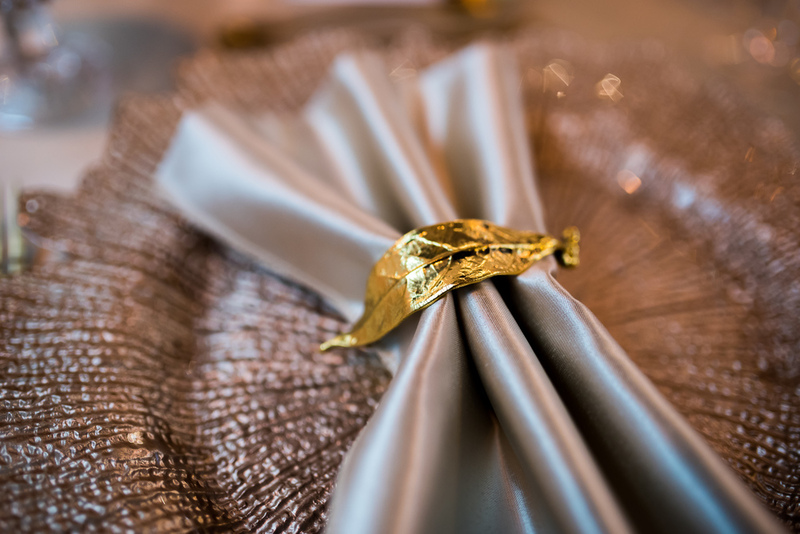 So much glam from Georgina Scott Bridal! More of Allure Bridals! I Loved the headpieces presented by Great Expectations Bridal! 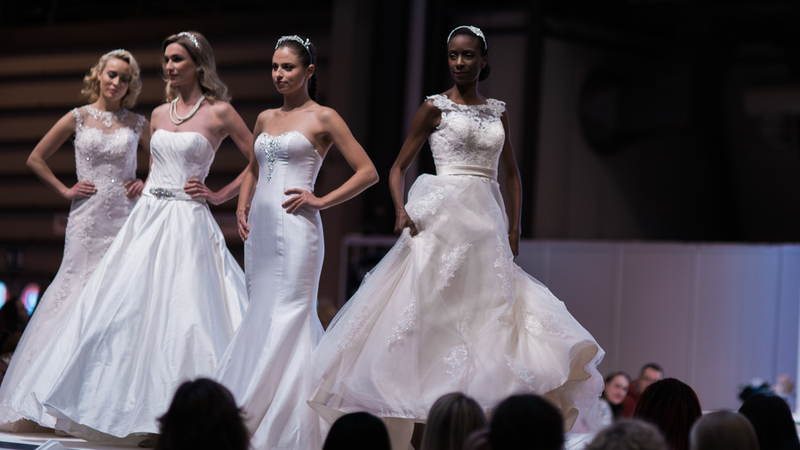 So many silhouettes from Berketex Bride! 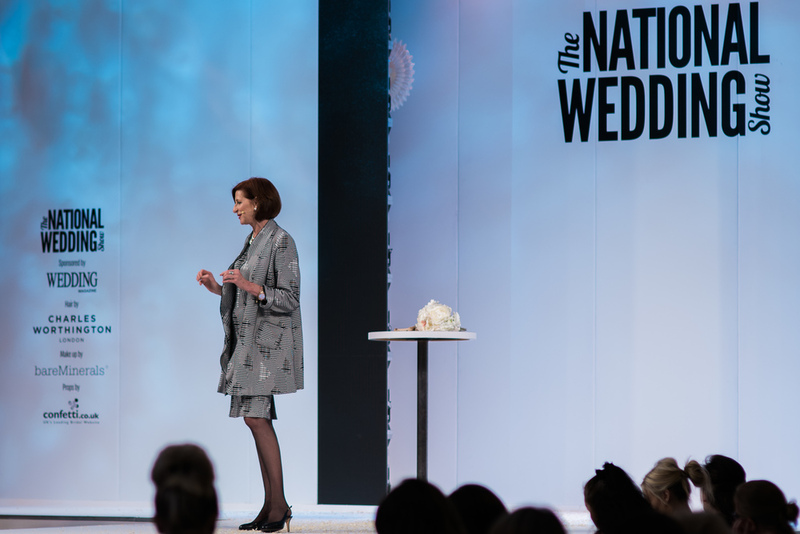 There are so many more photos but I'll end with the lovely, Michele Paradise (@BridalCoachUK) and stunning short silhouettes and umbrellas on the runway from The Dressing Rooms Bridal. Also, some pretty from Maggie Sottero available at Wedding Belles of Four Oaks and some floral rain from Shropshire Petals. I hope you enjoyed the photos! 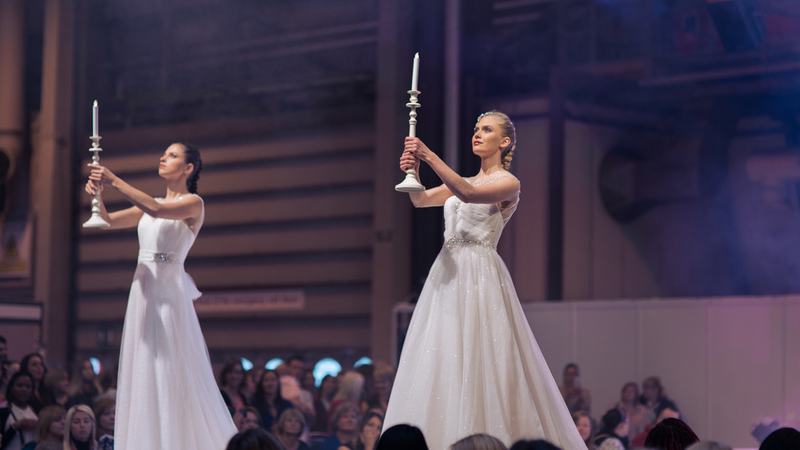 If you've been to any of The National Wedding Shows as a bride or exhibitor, what was your favourite thing about being there? I'd love to know! Hopefully, next year I can finally get in on all the fun as an exhibitor!